Well, I guess when you have enough Twitter followers, you start seeing the phishing scams. 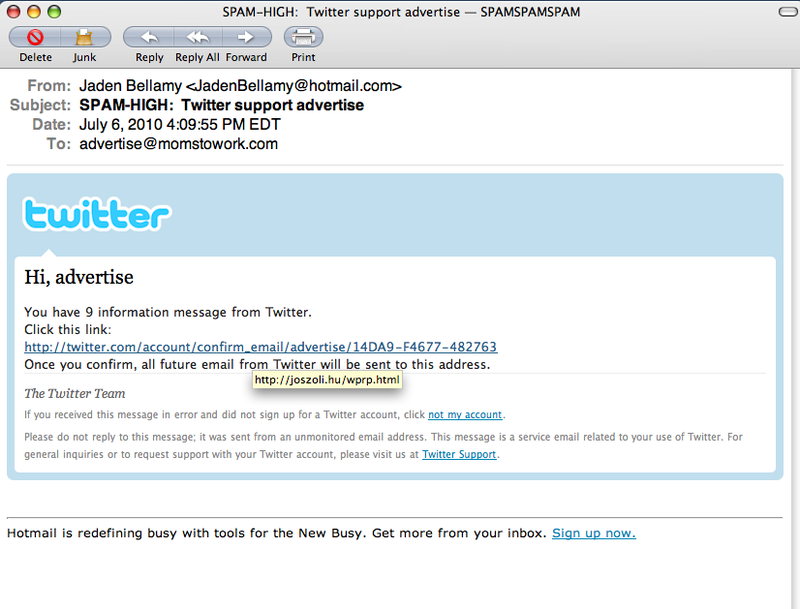 It looks pretty close - design wise - to an official Twitter email. However, the thing was a) sent to an address that isn’t used for Twitter and b) sent from a hotmail address, which means these guys were just hoping for a few clicks before getting shut down. The hover over shows the address of the phishing site. You are currently browsing the cleverhack dot com weblog archives for July, 2010.